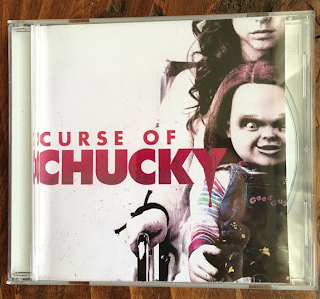 It has been a while since he have heard anything about the latest entry in the Chucky series (formally Child’s Play series), but not too long ago, the film’s co-star Fiona Dourif snapped a shot of what looks like the film’s soundtrack on CD and put it up on Instagram. It is good to see Chucky is looking more like his former self from the original few films compared to the "stitched Chucky" look. 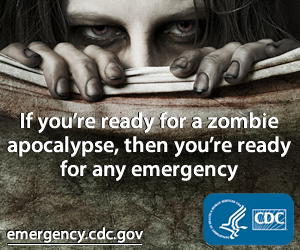 (Objectively, this is more frightening since you already kind of expect a sewn together doll to come alive and try to kill you.) Anyway, Curse of Chucky will be headed straight to home video this fall. In the movie, written and directed by Don Mancini, Nica (Dourif) is grieving over her mother's suicide whne her sister Barb (Danielle Bisutti) and young family show up to help her settle the family's affairs. The two sisters clash while Barb's daughter copes with a Good Guy doll that arrived in the mail. Of course, Chucky (still voiced by Fiona's dad, Brad Dourif) gets into his old routine of murder, but this time it's extra personal as he sets out to settle a 20-year-old grudge.